KIEV, November 30. 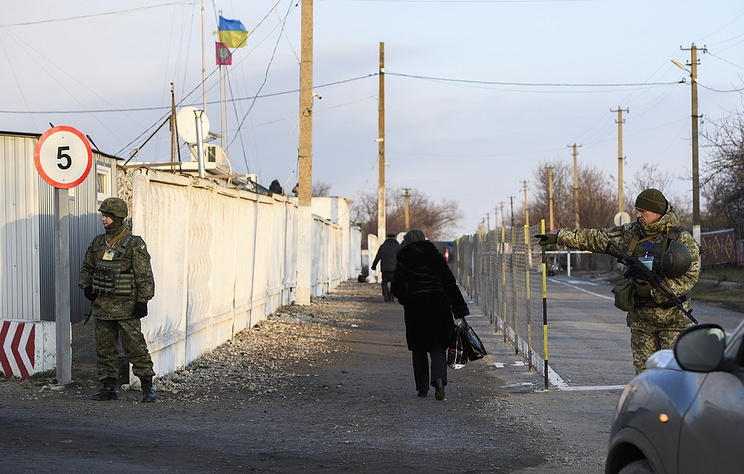 /TASS/.The Ukrainian State Border Guard Service has prohibited Russian men, aged 16-60, from entering the country, its head Pyotr Tsigikal said on Friday. "Control measures at checkpoints have been enhanced. As of today, foreigners, primarily Russians, have been restricted entry. Russian men, aged 16-60, have been prohibited from entering (Ukraine)," he stated at a council with Ukrainian President Pyotr Poroshenko. The chief of the State Border Guard Service pointed out that entry is only possible should the situation a "humanitarian nature" emerge, like funerals, for example.